The president of Herd on the Hill went into a planning meeting and announced the name of her group. Others gasped and grumbled. No press were allowed in the room. Debbie Matties quickly cleared up the confusion. She wasn’t me — your friendly neighborhood reporter tracking all things “Heard on the Hill” — but rather the leader of a brand-new advocacy group. That was last year, and people are over it now. “They know us now, as do many of the staffers, so now we just hear the occasional joke,” Operations Director Karen Williams said. They spell “herd” like a crowd, or a pack with a common bond. It’s fitting for a group that descends on the Capitol twice a week, bearing letters to lawmakers from far-away constituents. Leveraging their proximity, people who live close to the Hill deliver messages from people who don’t. “Many of our volunteers are D.C. residents, with no voting representation in Congress. Delivering letters from constituents in other states gives them a voice through their advocacy,” Williams said. Call it living vicariously. Like so many other activist organizations, Herd on the Hill sprung up after President Donald Trump was elected. They started small, ferrying letters for relatives or friends. It snowballed from there. During the confirmation hearings for Supreme Court Justice Brett Kavanuagh, volunteers delivered around 6,700 letters — 1,300 of those were from Mainers, addressed to Republican Sen. Susan Collins. Other busy periods for the group came during the health care debate, tax legislation votes and the uproar over the administration’s family separation policy. While the Herd on the Hill website includes a tool to compose letters, there’s no suggested script. That sets them apart from other advocacy groups. Since congressional staffers get bombarded with constituent messages from all sides, a personal touch can break through the noise, she said. 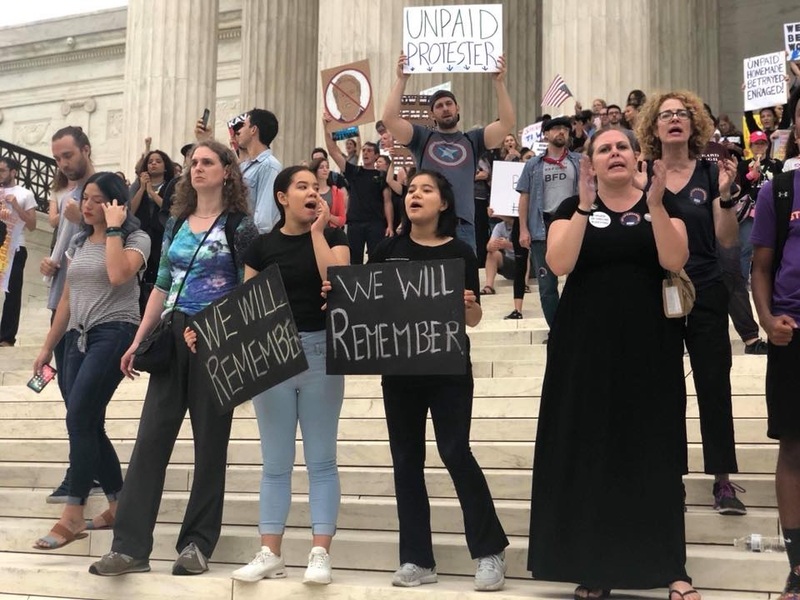 During the Kavanaugh fight, Herd on the Hill corralled more than 100 volunteers, including tourists. They all received a short training right before their delivery routes. Some people came on their lunch hours. “After the bitterly-fought presidential election, I needed something empowering to do to channel my dissatisfaction,” she said. With a background in project planning and management, an operations role was a good fit for her. Other volunteers are mainly Democrats and independents. Some are retired. Some are lawyers or consultants. And for now, at least, all of them are letter carriers. Correction Oct. 16, 2018 2:30 p.m. | An earlier version of this story miscalculated the percentage of letters that addressed the Kavanuagh hearings.